Eight suspected members of Islamist militant group Boko Haram have confessed to involvement in the 2014 abduction of some 270 girls from the town of Chibok, the Nigeria Police Force said on Wednesday. The mass abduction of girls from their school caused global outrage and drew attention to the militant group which has killed more than 30,000 people since 2009 in an insurgency aimed at creating an Islamic state in northeast Nigeria. 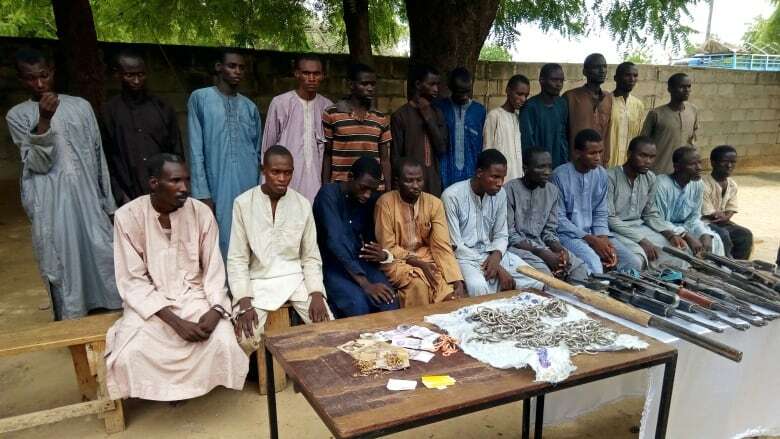 Abba Kyari, deputy commissioner of police, said 22 suspected members of the militant group were arrested in different locations in the neighbouring northeastern states of Yobe and Borno. "Eight of them, including a commander, have confessed to being involved in the planning and kidnap of Chibok girls," Kyari said. "It was an intelligence-led operation. We have been monitoring them for about six months to one year," said Kyari, who led the team. Nigerian authorities have convicted this year two alleged Boko Haram members to 15 and 20 years in prison for their purported role in the kidnapping of the Chibok girls. The convictions are part of mass trials of more than 1,600 suspected members of the insurgency. Rights groups had criticized the court hearings for their secretive nature, with initial trials held behind closed doors. With presidential elections due in February, President Muhammadu Buhari's administration is under pressure to show success in the fight against Boko Haram, a group he had vowed to defeat when campaigning for 2015 elections. The government and military have repeatedly said since late 2015 that the insurgency has been defeated. Despite that, authorities do not control all of the territory in Nigeria's northeast, particularly around Lake Chad, and the militants frequently stage deadly, sophisticated attacks on the army and civilians. Nigerian police are frequently accused of prisoner abuse and malpractice, claims they deny. Many of the Chibok girls managed to escape in the hours following their abduction or were released in the last few years, including 82 who were released in an exchange deal that included several imprisoned senior members of Boko Haram. But around 100 are still missing and their conditions are unknown.